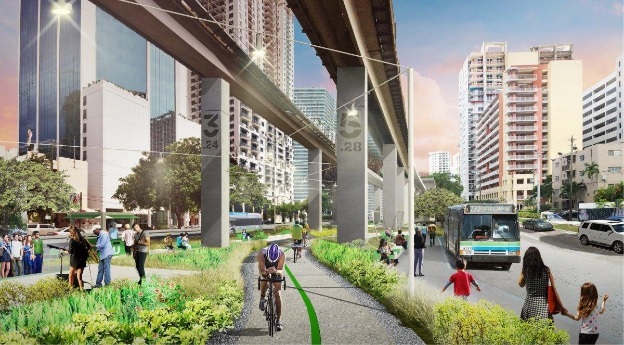 City officials have broken ground on the first phase of The Underline, a linear park, urban trail and living-art destination in Miami-Dade County. The 10-mile linear park and mobility corridor will run below the Metrorail guideway. The proposed corridor will extend from the Miami River to the Dadeland South Metrorail station. The Underline will be built in phases. 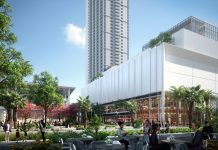 Phase I – The Brickell Backyard – consists of a half-mile long segment below Metrorail that extends from the Brickell Metrorail station to the Miami River. It will have many amenities, including a workout area with gym equipment and a flexible basketball/soccer court. The gym area will also provide space for group classes and activities. In addition, there will be a community stage, gaming tables, an outdoor dining room and dog parks. The project also features native vegetation, and the first phase of its development will include four butterfly gardens. To improve street crossings, high-visibility crosswalks will be featured at Southwest Seventh, Eighth, and 13th streets. The project will cost $120 million, of which more than $90 million in public funds have already been committed. 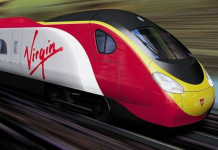 Construction of the first phase is expected to begin early next year.